The next paragraph is one of the most profound, real statements you’re ever going to read. It’s from Rachel, Lauren’s mom, and she’s describing one of the dark days after her daughter’s birth in 1992. You don’t have to be connected to a person with special needs to appreciate it, you just have to be human. Bots need not read any further. 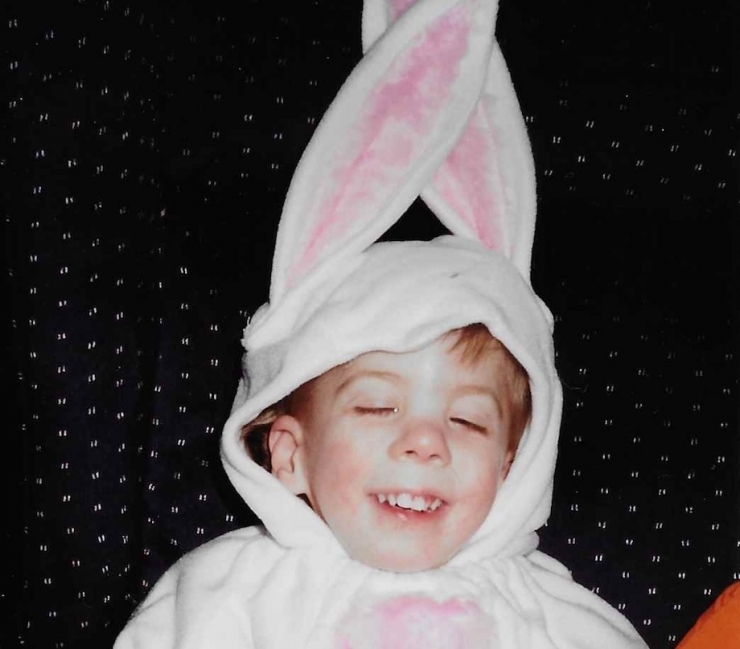 Lauren has been different since day one. Before, even. Her parents were worried; ultrasounds showed their baby was growing slower than expected, and once she was born, their fears were confirmed. She had an extra toe, extra fingers on both hands, and she struggled with nursing. Doctors were quick to dismiss each concern as fairly common. Things got worse. The next three months were a steady stream of doctor appointments, feeding issues, hospital stays, mounting complications, and stress. Lauren underwent a liver biopsy, which was inconclusive, so more testing was performed on the sample. 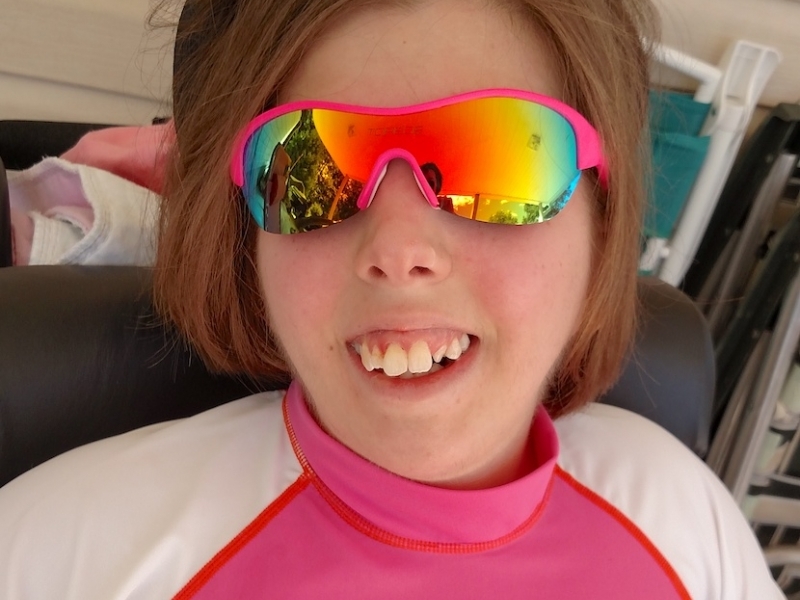 And then there was news: Lauren had Smith Lemli Opitz Syndrome (SLO), a genetic metabolic disorder caused by a deficiency in the enzyme 7-dehydrocholesterol reductase. 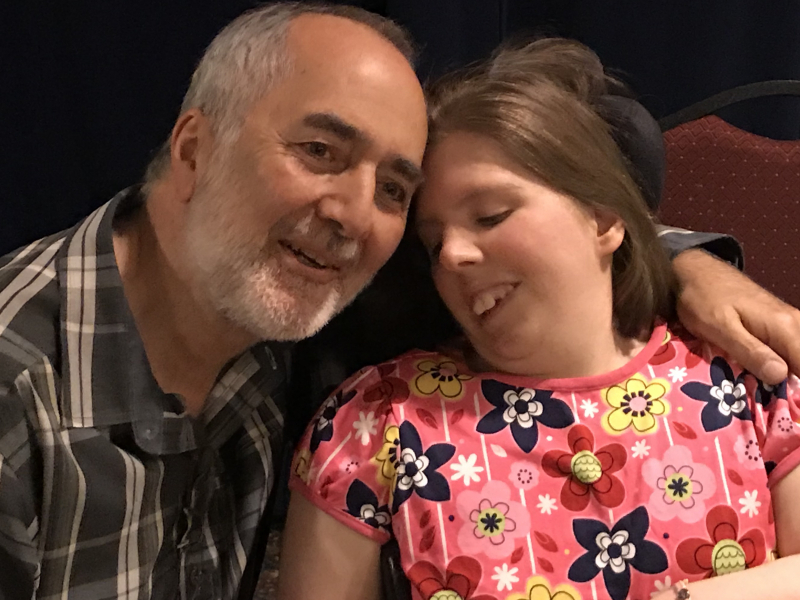 Her doctors were elated at this discovery; 30 years after the disorder was identified, the exact cause had remained unknown, but Lauren’s liver sample provided the clues to unlock testing and treatment for others with the disease. It was a game-changer for the medical community, but it was practically a death sentence for Lauren. 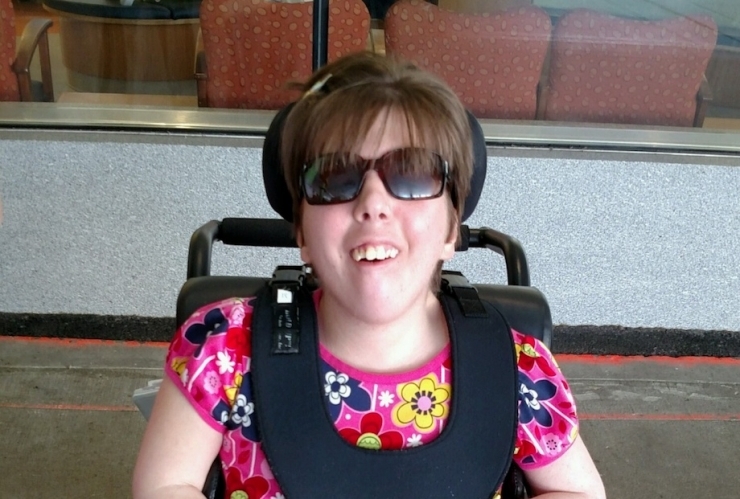 Most children in Lauren’s situation don’t live past seven months. 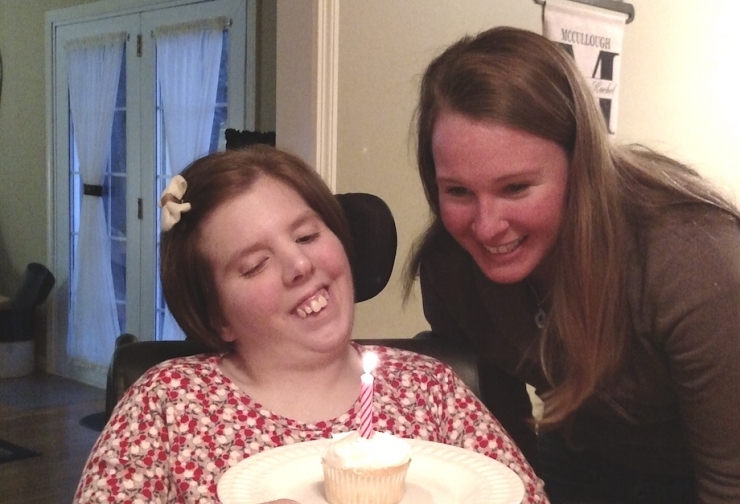 This past March, Lauren celebrated her 25th birthday. Happy belated birthday, Lauren! Katie is Lauren’s sister. She’s three years older, one of Lauren’s very favorite people, and is gifted with her mother’s same insightful, beautifully pragmatic optimism. 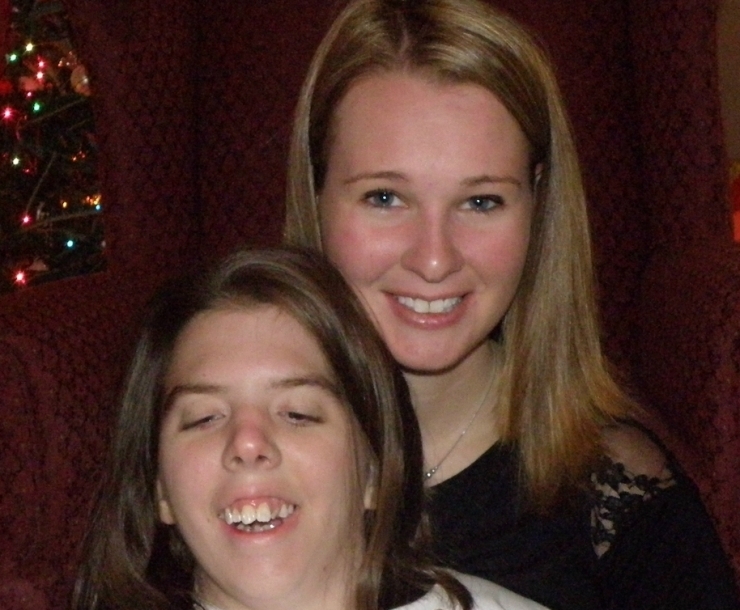 During our interview, Rachel was trying to describe how deep the girls’ bond is, the typical sibling moments they have, and how Lauren has shaped Katie in to the compassionate person she is today. She started to tell me a story, but had to pause...and now sharing it with you, I fully admit to choking up. Grab a tissue. 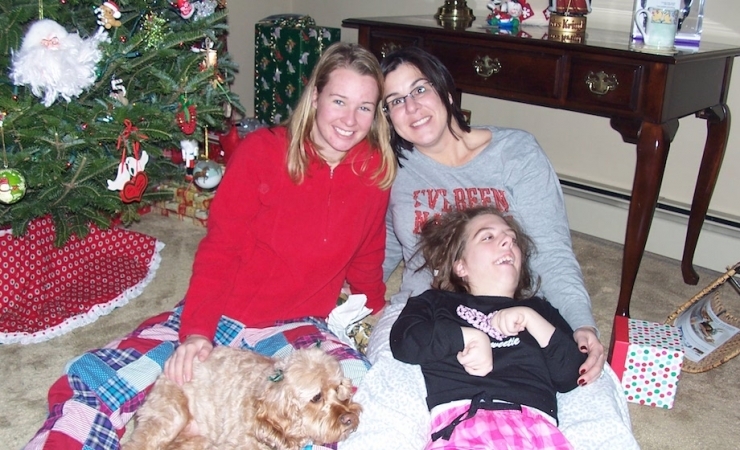 “For years and years, the first line on Katie’s Christmas list was ‘I want my sister to be normal for one day.’ Every year. Then, when she was around eight or nine, she didn’t write it. I asked her why, and she said she realized she didn’t need Lauren to be any different than who she was. 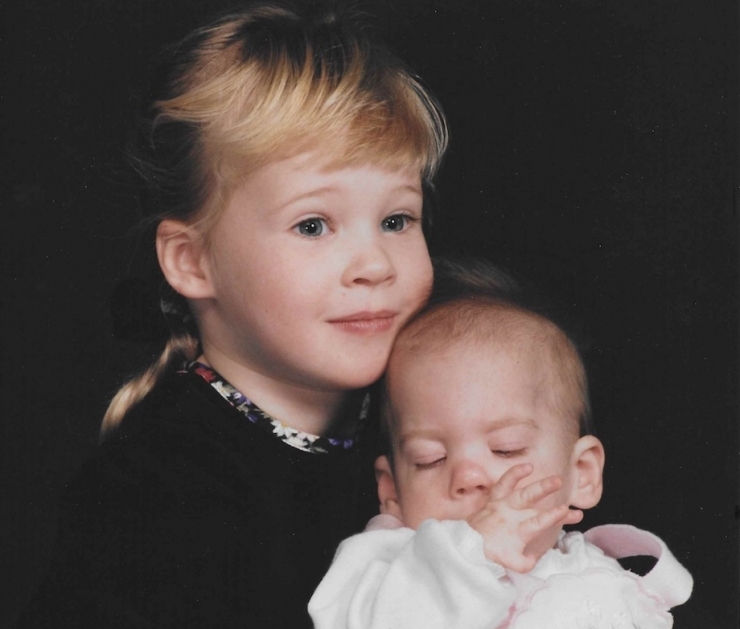 If she was different, she just wouldn’t be Lauren.” Katie has gone on to bring an extraordinary level of patient care to the children’s hospital that treated her sister. 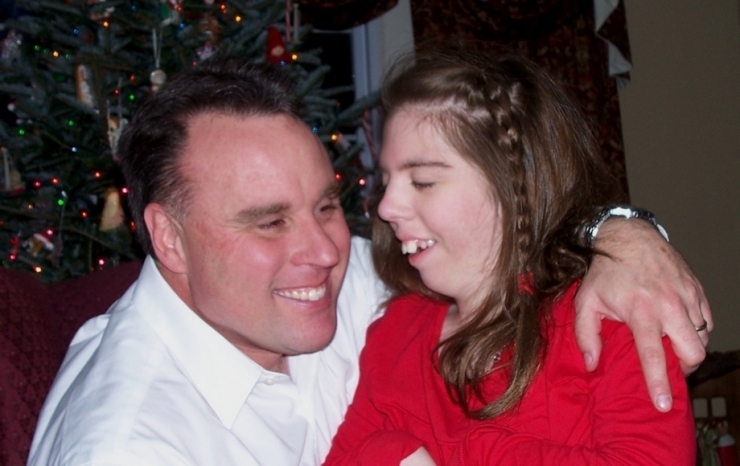 Her talent for understanding the nuances of special needs families is exceptional, and her parents are so proud. Doctors can’t explain why Lauren has survived with the form of SLO she has; in fact, she may be the only one currently living. 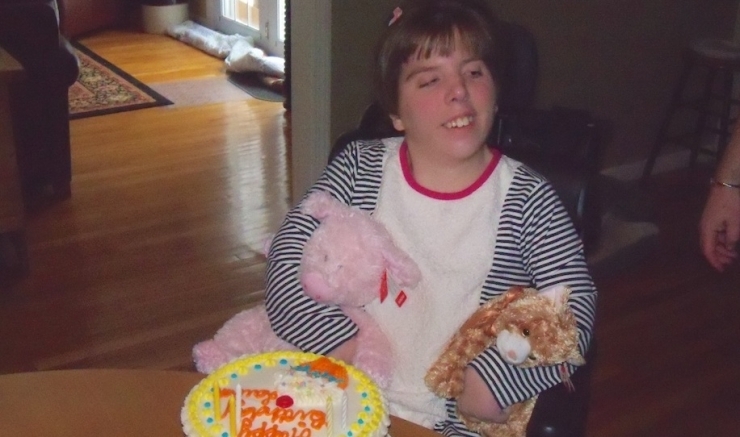 Despite her many challenges, she’s grown into a outgoing, intelligent, happy young lady. She has no trouble shaking her head no when she doesn’t want something, she loves her iPad, music, movies, exercising, swimming, Christmas lights, her dog, and her family. 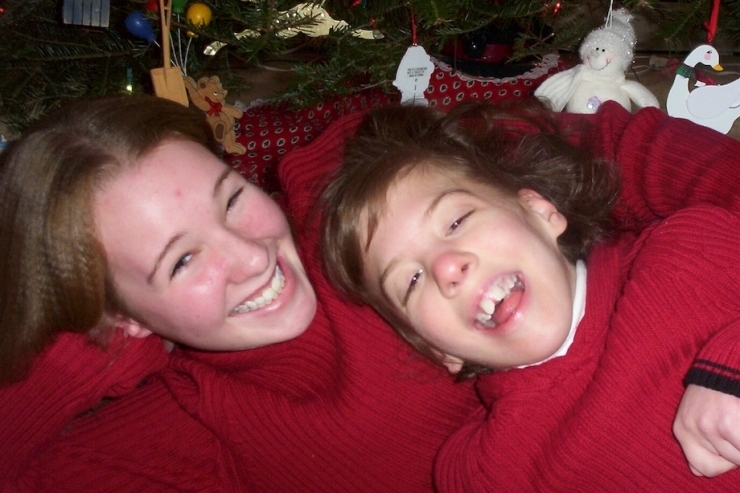 In so many ways, Lauren is completely typical, and in another, she’s one in a million. We’ve learned over the years how incredibly important mobility is for people with medical conditions. Without reliable transportation for treatment, basic needs and independence are nearly impossible. 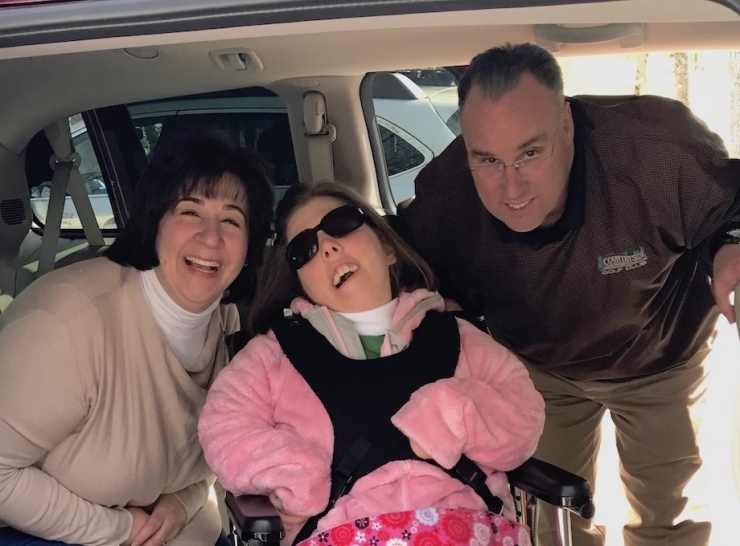 Lauren surviving to age 25 is a blessing, to be sure, but it means her caregivers must transport an adult and an adult-sized wheelchair wherever they need to go. It takes two people to manage the task – usually Rachel and Lauren’s nurse Becky – and it takes lots of advanced planning. 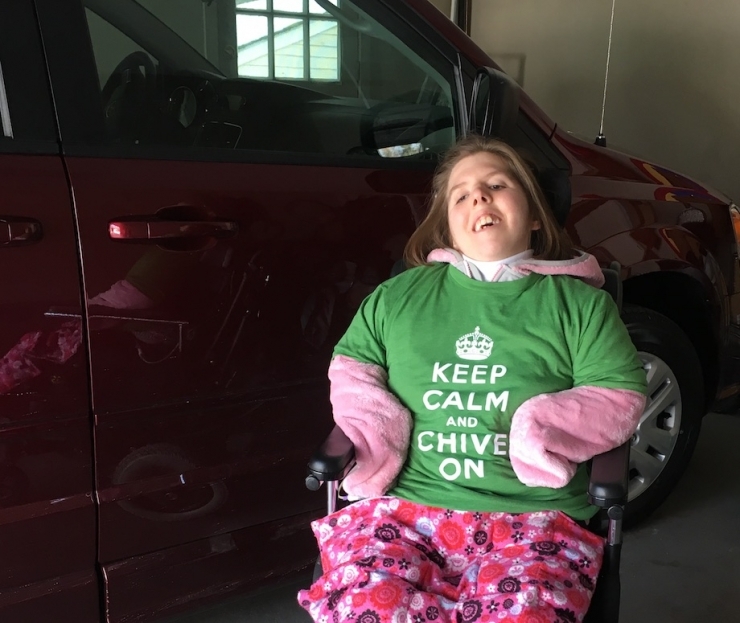 If the car breaks down, and it does often, they can’t just call someone to come pick them up...where would they put the wheelchair? We knew Lauren was important. Tony knew it, too. Tony is Becky’s boyfriend, and he works at a car dealership. He checked out the family’s old van and knew it had to go. So he suggested they reach out to Chive Charities. Rachel didn’t think she could go through it again. We’re so glad she did. The van was delivered last week. Looks like they like it pretty well. 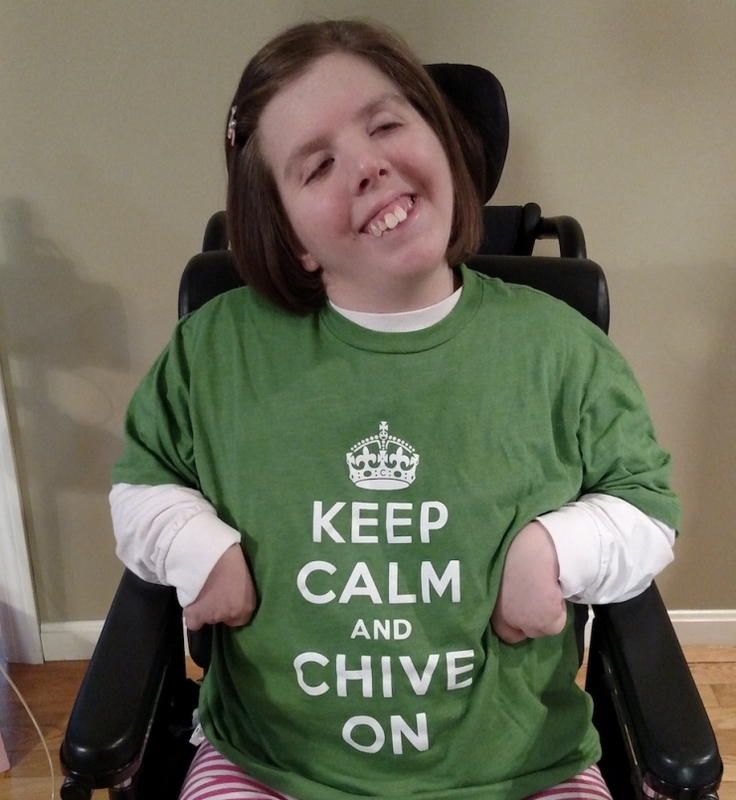 Chive Charities is honored to help those facing monumental challenges. They’re important, their differences are not scary, and we won’t leave them behind. To open the world to more miracles like Lauren, become a monthly donor to our Green Ribbon Fund HERE.